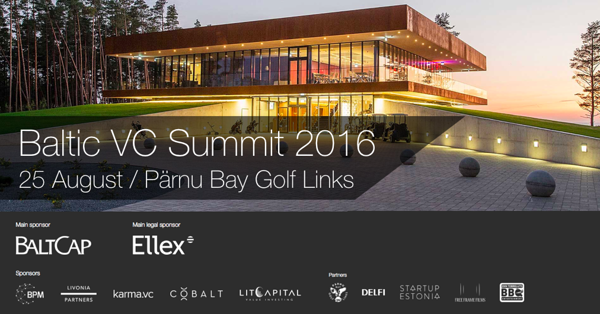 Each summer, on the last week of August, Baltic Private Equity & Venture Capital professionals gather at one of the beautiful Baltic coastal resorts, discuss industry developments and cooperation, network and enjoy summer & various activities together. After being held in 2014 in beautiful Minge, Lithuania and in 2015 in Jurmala, Latvia, event is returning to Estonia this year. ESTVCA is very excited to welcome you on the 25th of August at Pärnu Bay Golf Links - the newest golf course in Northern Europe, opened in 2015 and situated on the coast line just few km from our summer capital Pärnu. We are expecting around 200 Private Equity & Venture Capital market players and decision makers from the Baltics and guests from around the world. We are also happy to announce that this year’s moderator will be Pramod Bhasin from New-Delhi. Pramod is the founder of Genpact (NYSE:G), a €2,3 bn turnover business process outsourcing company with more than 75 000 employees in 28 countries. In 2012 Private Equity Firm Bain Capital paid €1bn for its stake in Genpact. He is strategic advisor to Private Equity firms, Kedaara Capital in India and CVC Capital Partners in Asia. He will be moderating the event and in between the sessions he will take us on a journey to India. Registration is now open and more information about the event, speakers, tickets, registration and accommodation can be found here: www.estvca.ee/summit. Due to high season we advise to book hotels well in advance, more information on website. We are looking forward seeing you in Pärnu!